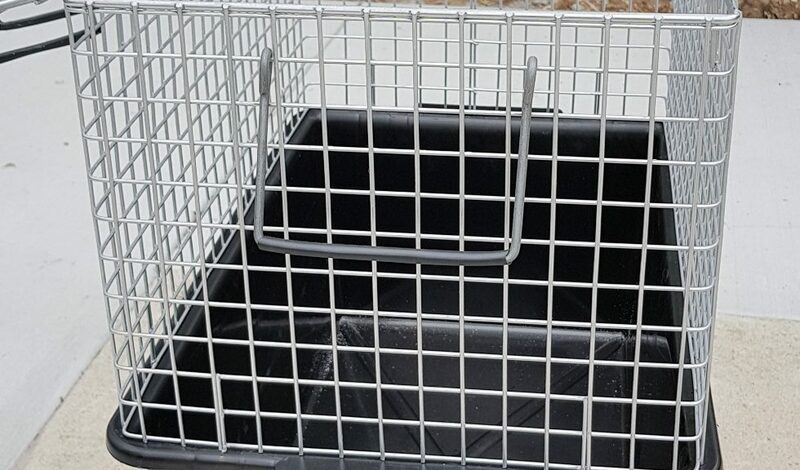 These animal carry cages are suitable for wildlife of all types – birds, koalas, snakes, lizards, or any small animals. They also make ideal pet carriers for taking your dog or cat to the vet. They can also be used for animal airline transport. They come in 3 sizes and are are all Australian made with professional workmanship from quality materials. They are very easy to clean. The largest is 520 cm high, 360 cm deep and 580 cm long. The bucket height is 230 cm. These make ideal dog crates for small/medium size dogs with enough room for comfort. Also suitable for koala transport. The medium size cage is popular for small dogs, cats and larger birds. Height – 370 cm, depth – 350 cm and length – 500 cm. The bucket depth is 140 cm. The small pet carrier is ideal for birds, puppies and cats. The measurements are as follows: Height – 400 cm, depth 300 cm and length 420 com. The bucket height is 230 cm. this is priced at $70.00. The small size also has smaller density wire so it may be used for snakes or mice.